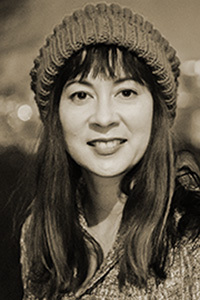 Paisley Rekdal is the author of five books of poetry, including her latest collection, Imaginary Vessels (Copper Canyon Press, 2016). Her most recent essay collection, The Broken Country: On Trauma, A Crime, and the Continuing Legacy of Vietnam (forthcoming from University of Georgia Press, 2017) won the 2016 AWP Nonfiction Award. Her poems and essays have appeared in The Kenyon Review, The New York Times, Ploughshares, The American Poetry Review, and elsewhere. She has received the Amy Lowell Poetry Traveling Fellowship, a Guggenheim Fellowship, a National Endowment for the Arts Fellowship, two Pushcart Prizes, a Fulbright Fellowship to South Korea, and various state arts council awards. She teaches at the University of Utah.